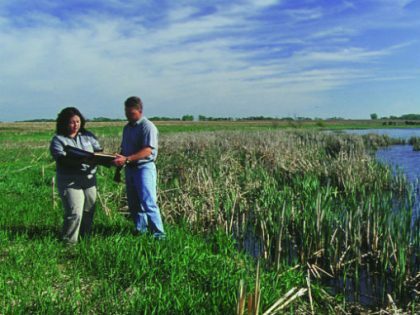 With water quality trading, factories and utilities can improve water quality by working with landowners to do conservation work instead of installing expensive water treatment technology. 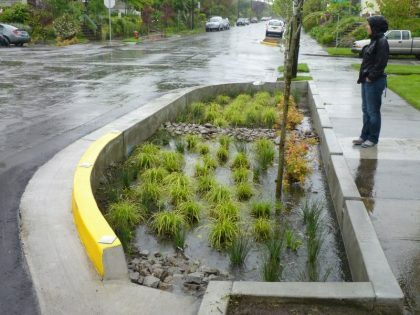 Side effects may include improved air quality, climate change mitigation, and habitat creation for fish and wildlife. 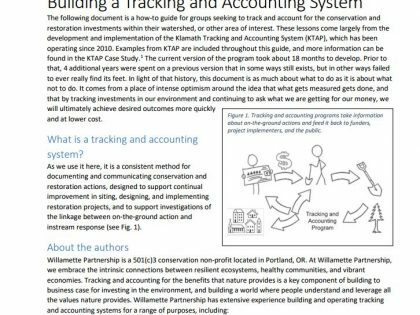 Willamette Partnership is involved in all levels of water quality trading, from the national discourse on best practices to tracking, accounting, and verifying credits. 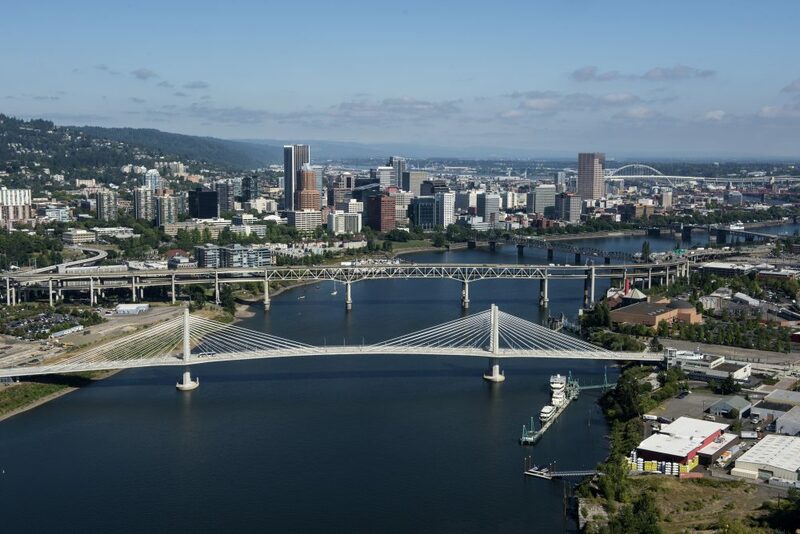 Learn more by browsing our project and state policy tools below. 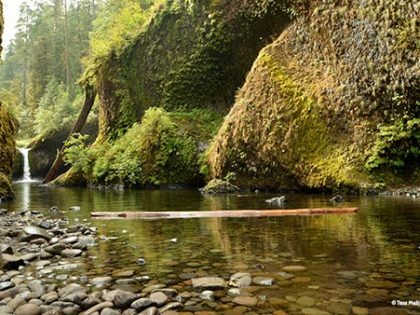 We need new tools to achieve fishable, swimmable rivers, lakes, and streams. 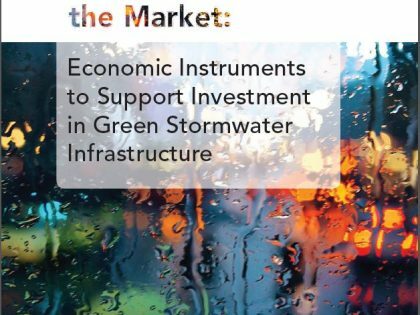 We also need to invest in resilient, functioning ecosystems while also supporting public health and economic growth. 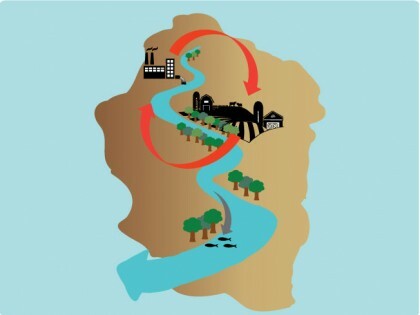 Water quality trading is one such tool that offers a flexible, more cost-effective and environmentally beneficial approach to reducing pollution in our waterways than more traditional engineered solutions. 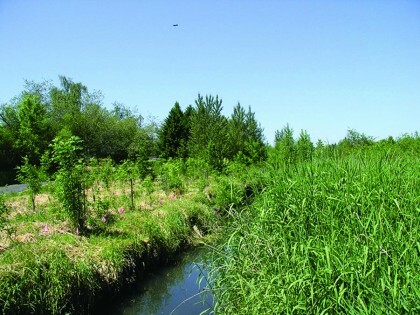 As an alternative to installing expensive technology to meet requirements of the federal Clean Water Act, point sources, like wastewater and stormwater facilities, can work with landowners within the watershed to implement conservation and restoration practices that reduce pollutants at a lower cost. 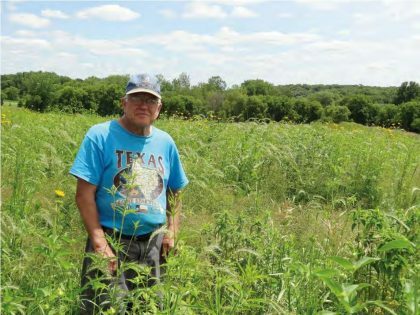 That might be planting trees to shade the river or changing tillage and the timing of fertilizer use to keep water cool and clean. 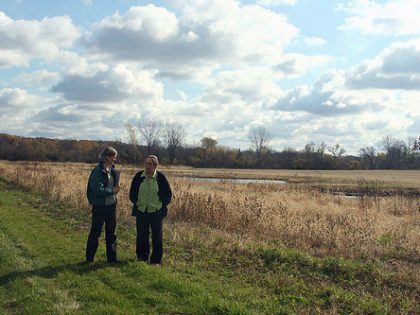 Landowners are compensated for their efforts after the water quality benefits are verified. 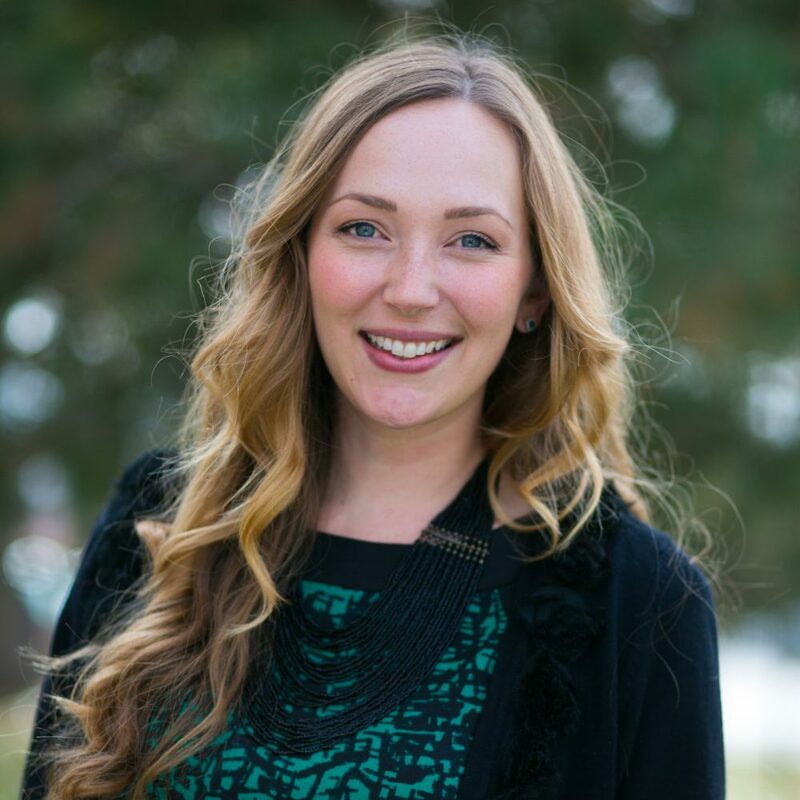 These verified benefits become “credits,” which can be purchased by point sources to meet regulatory requirements. 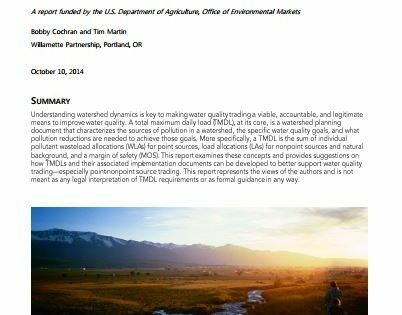 Water quality trading can create new sources of revenue for farmers, ranchers, land managers, and conservation groups. 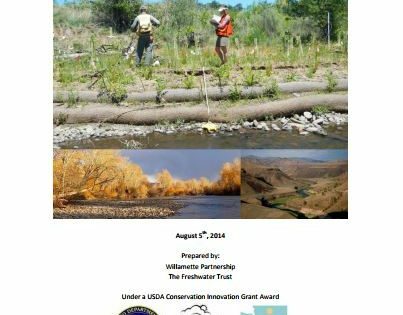 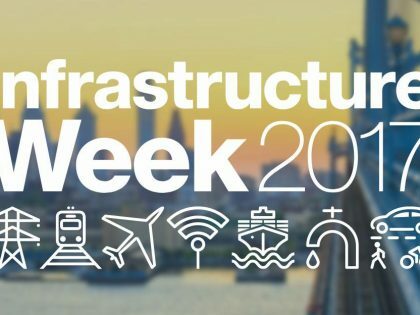 In addition, trading projects may provide a range of additional environmental benefits, such as air quality improvements, fish and wildlife habitat creation, and climate change mitigation. 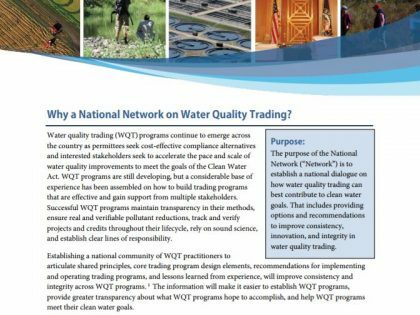 We are facilitating a national conversation on how to improve consistency, innovation, and integrity in water quality trading. 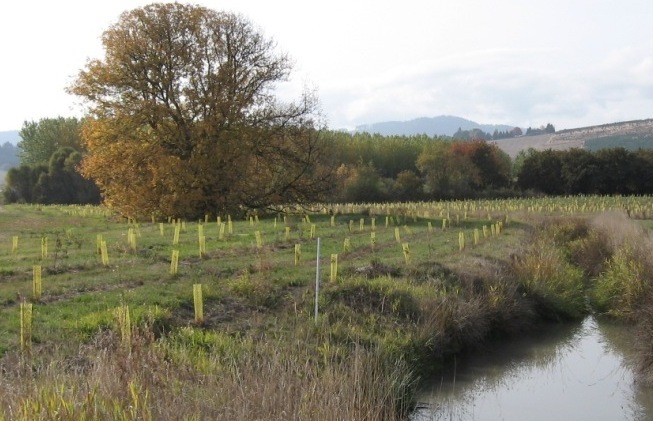 We use science-based quantification and accounting methods to prove whether restoration projects are providing the water quality benefits that trading programs said they would. 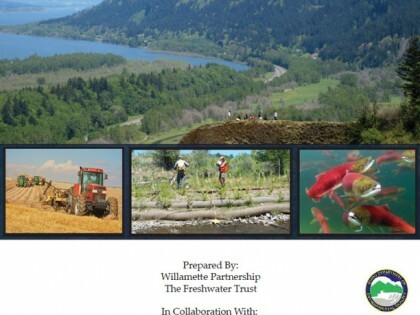 Learn more about the projects we verify in Oregon. 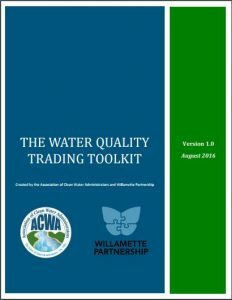 States from the Pacific Northwest released joint recommendations for improving water quality through credit trading. 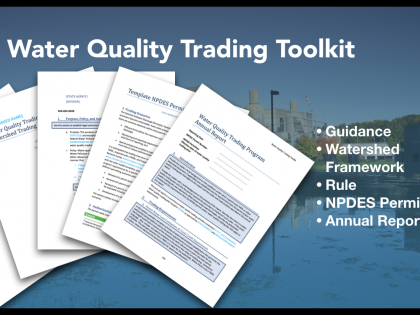 The Water Quality Trading Toolkit makes it faster and easier for state agencies and stakeholders to develop robust trading programs that achieve clean water goals. 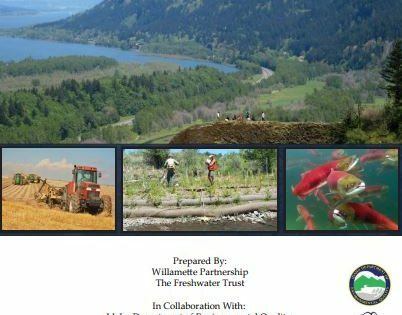 The toolkit consists of fives templates that work in concert with each other: state guidance, watershed framework, state rule, NPDES permit, and program annual report. 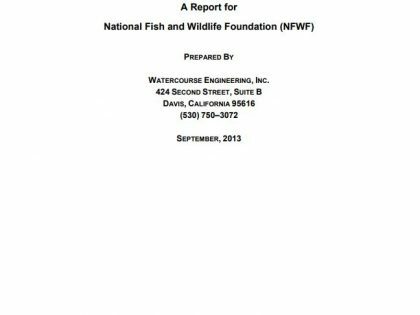 The templates can be used as a starting point, a checklist of important considerations, or customizable sample language. 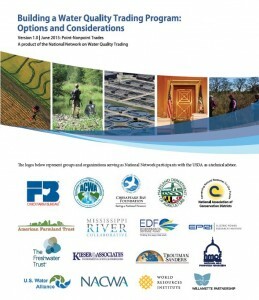 The Water Quality Trading Toolkit was designed to go along with the following National Network on Water Quality Trading publication. 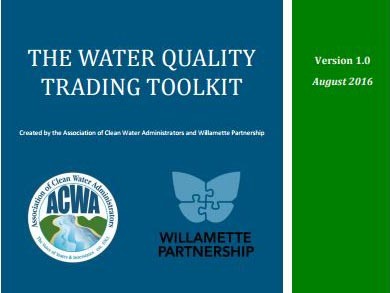 This five-page fact sheet summarizes innovations in water quality trading tools and progresses through the joint regional recommendation. 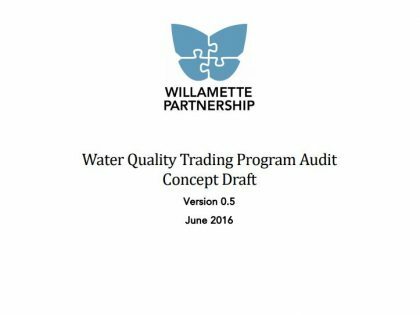 We developed a concept draft for a water quality trading program audit that can help balance rigor and cost for environmental credit verification. 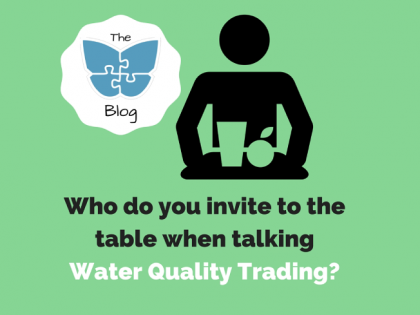 Setting the table for a productive discussion about water quality trading is a struggle. 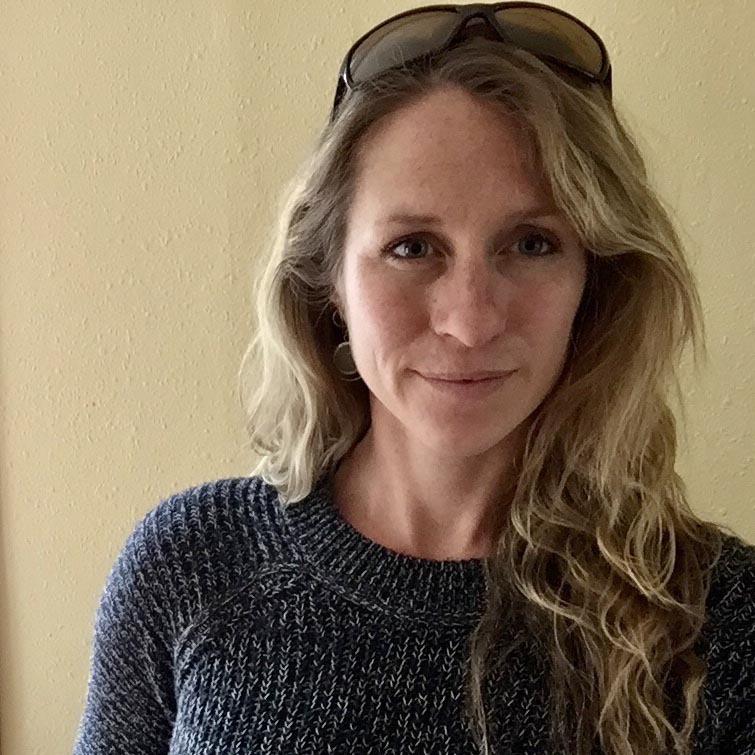 But it’s also a strength. 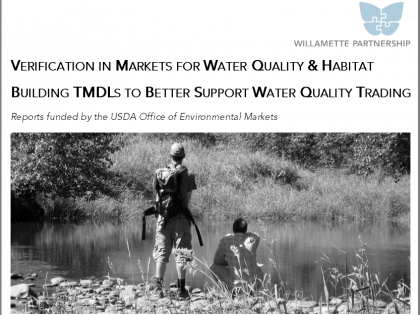 This report provides information on how a total maximum daily load (TMDL) can be developed to better support water quality trading. 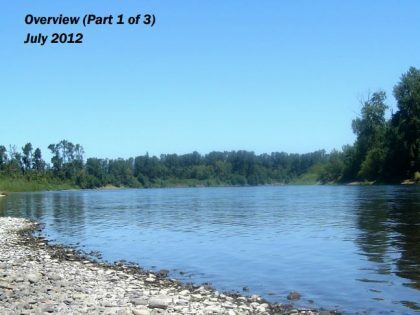 Idaho, Oregon, and Washington with support from EPA Region 10 have agreed to test a new set of joint recommendations for water quality trading in the Pacific Northwest. 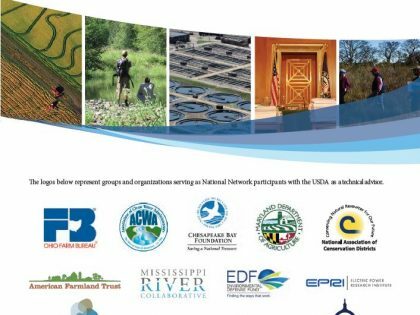 Joint regional recommendations to help increase confidence that water trading quality produces its intended benefits and complies with the Clean Water Act. 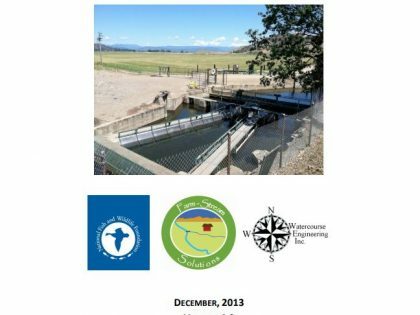 This is the joint statement document for the regional recommendations for the Pacific Northwest on water quality trading. 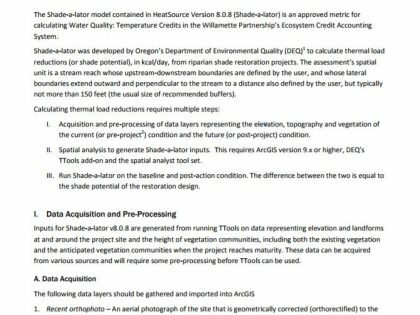 Directions on how to quantify thermal benefits of riparian shade using Shade-a-lator version 8.0 and higher for ecosystem credit accounting. 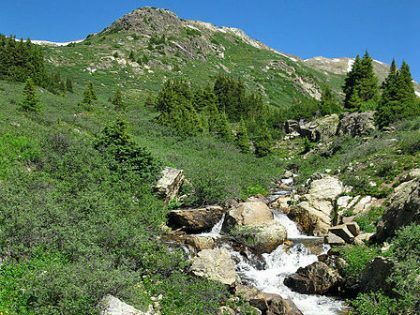 These protocols focus on three stream characteristics and assess the effectiveness of water transactions using data collected through a monitoring program. 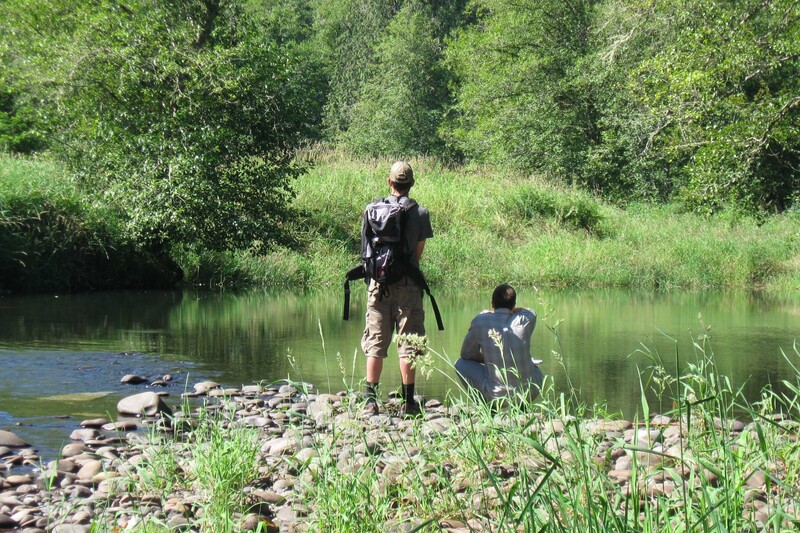 User guide for the Water Temperature Transaction Tool, an easy, interactive model for quickly evaluating stream temperatures under a variety of scenarios. 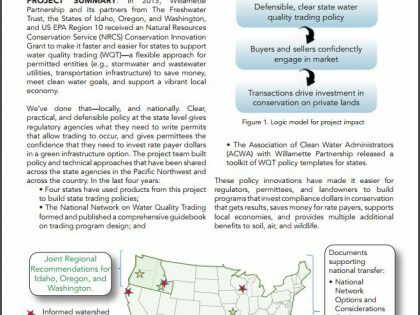 “In It Together” is a 3 part reference on how to build water quality trading programs for point and nonpoint sources with existing case studies. 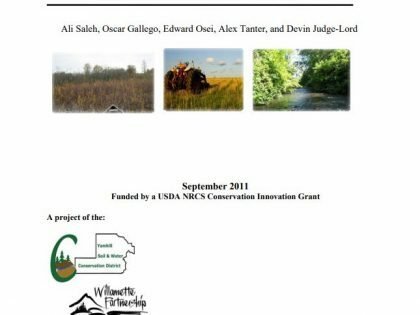 User guide for the Nutrient Tracking Tool, a model developed to calculate nutrient and sediment loss reductions resulting from conservation practices. 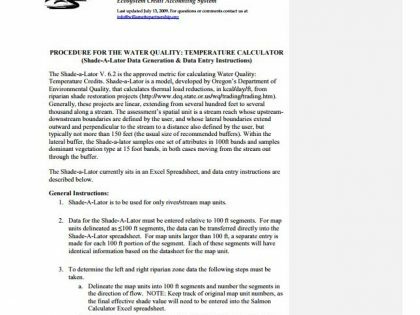 Procedures for using the water quality temperature calculator, Shade-a-lator version 6.2, an approved metric for calculating credits. 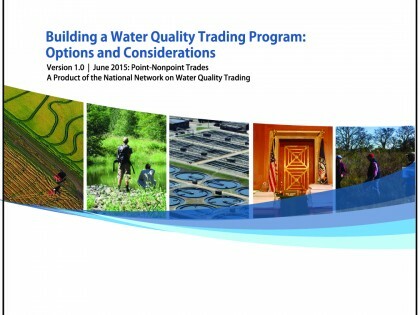 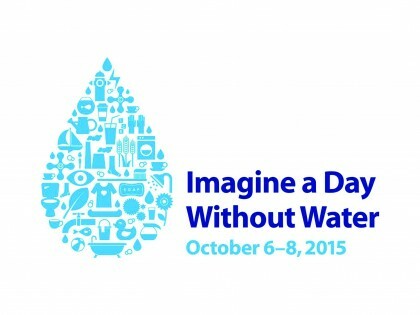 Get in touch with your questions about our work on water quality trading.